Is long-term care insurance something you need? Here’s How Much Long-Term Health Care Actually Costs. 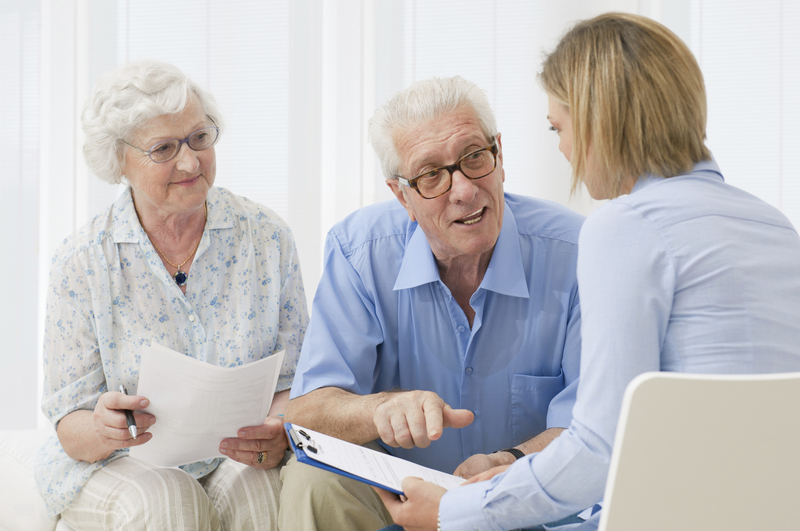 When to Opt for Alternatives to Traditional Long Term Care Insurance. Some 15% of those who don’t currently have or plan to purchase long term coverage in the next five years have an alternate plan in place, according to a new survey by Genworth. “The good news for the nearly three-quarters of Americans who are willing to make some concessions to ensure they are properly prepared for long term care is that there are options for funding long term care,” said Pam Nelson, vice president of consumer insights with Genworth. “We are using annuities with long term care riders attached for some of our clients that would be uninsurable under a traditional plan due to their current or past medical issues,” said Brian Gordon, president of MAGA, a national long term care brokerage firm in Chicago. There are also hybrid life insurance plans with long term care riders attached from insurers such as Lincoln, Mass Mutual and Guardian. Although single premium whole life insurance policies with long term care rider options attached only require a one time deposit rather than ongoing contributions, the downside is steep upfront costs to buy it. “Less money is available to pay for long-term care under these hybrid policies,” said Mike Piershale, president of the Piershale Financial Group. Although they may cover the same levels as traditional long term care policies for home care, assisted living and nursing home care, hybrid long term care life insurance policies aren’t perfect, because many hybrid life insurance policies with riders attached cap the amount for long-term care benefits at 50% of the face value of the policy. Other alternatives are those with critical and chronic care riders that can also be attached; however, the way the benefits trigger are different from traditional long term care insurance policies. Certified by a physician, the chronically ill individual typically has a severe cognitive impairment or requires substantial assistance with at least two activities of daily living (ADLs) for the rest of his lifetime. ADLs include bathing, continence, dressing, eating, transferring and toileting. Long Term Care Coverage– Advantages of Buying Early. Peace of Mind for the Long Term. A Burden Relieved: Long Term Care Insurance. 6 Things You Didn’t Know About Long-Term Care Insurance. 1. You decide where care is received. One of the most common myths is that long-term care insurance only provides nursing home care, and nothing is further from the truth. It provides home care for those who prefer to “age in place,” as well as care at adult day care, assisted living facilities and hospice centers. In fact, most newly opened long-term care insurance claims are for home care, according to the American Association for Long Term Care Insurance (AALTCI). 2. Benefits can be tremendously flexible. In addition to options for where care is received, most long-term care insurance policies offer greater flexibility in the types of services available, such as home modifications like installing grab bars or a wheelchair ramp to help you stay at home longer and safer; or other care-related products and personal supplies, like a lift chair or hospital bed. 3. It supports family caregivers. Long-term care insurance recognizes the important role family caregivers play in long-term care situations by offering options that can make it easier for families to care for the ones who cared for them. Most policies provide caregiver training for family members, which helps ensure care recipients are getting the best care possible. Other policies go the extra mile by recognizing family caregivers, and even family friends who provide care, as informal caregivers, making their time and services reimbursable under the policy. 4. It offers shareability for couples. 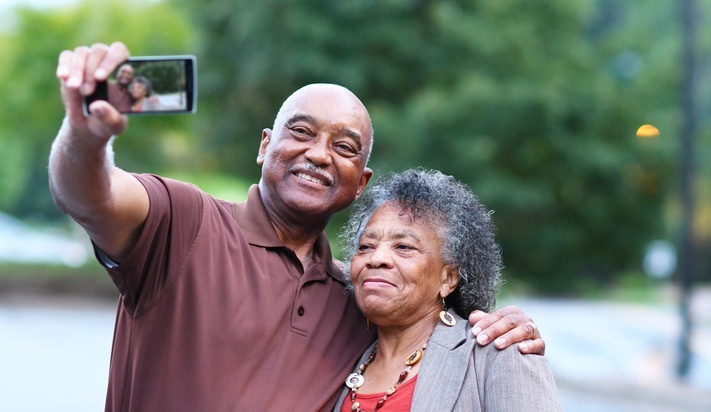 Many long-term care insurance policies offer an optional benefit commonly known as “shared care,” which allows couples to share their coverage and maximize their benefits. Here’s how it works: if one spouse exhausts his or her benefits, he or she can begin using the other spouse’s benefits. This provides couples with peace of mind knowing that their coverage will be there if care is needed for longer than expected. It typically also includes a built-in protection to ensure a surviving spouse can still receive long-term care insurance benefits. 5. It’s not “just for older people.” While it’s a critical part of retirement planning and important protection for your later years, the younger you are when you apply for long-term care insurance, the better. Age and health are two of the most important factors when applying, so applying at a younger age will help make it more affordable, and you are likely more insurable from a health perspective. Additionally, accidents and illnesses can happen at any age and include the need for extended personal care. Planning ahead can really pay off. 6. 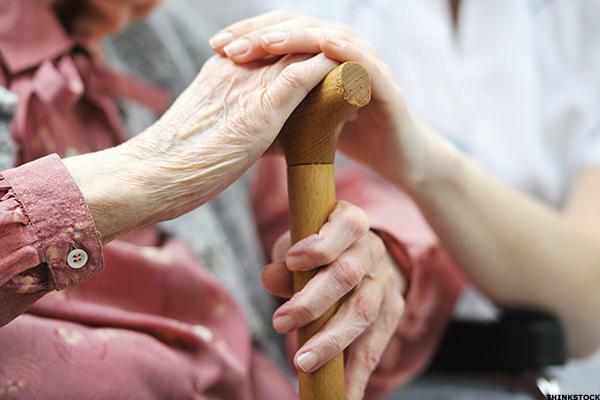 Long-term care insurance carriers paid $7.8 billion in benefits last year. According to AALTCI, carriers paid a record $7.8 billion in claim benefits to 250,000 individuals in 2014, up from $7.5 billion the previous year. You can interpret this number a couple of ways: People are living longer and more care is needed, or the cost of care is increasing, which are both true. But it also shows that long-term care insurance is working. It’s helping families provide care for their loved ones in a setting that they prefer and protecting their finances. What is “long-term care” and do I need insurance for it? Let’s play a word association game, OK? I say “long-term care,” and you say what? If you’re like most people, you say “nursing home.” While it’s true that nursing homes are a big part of the overall long-term care picture, the topic is not that straightforward. In general, long-term care refers to help with basic activities of daily living (ADLs, in industry parlance) such as bathing, dressing, eating, and using the toilet. This help can be provided in the home, in middle-ground settings such as assisted-living facilities, or in nursing homes. Technically, long-term care insurance provides ongoing income to cover the costs of such assistance. Practically speaking, however, long-term care insurance is a tool for protecting the assets of retirees, most commonly you, your spouse, or a parent. Insurance for protecting assets? What are we talking about? Here’s the deal. If you become severely ill, disabled, or mentally impaired to the extent that you can’t take care of yourself, you’ll need some help. If you’re not hospitalized or lucky enough to be living with a capable caregiver (another reason to pick a spouse based on features that can’t be surgically enhanced), you’ll need to hire the help. As you probably know already, this kind of help is very expensive and health insurance usually doesn’t cover it, not even Medicare. How expensive? Well, according to the 1996 “Guide to Choosing a Nursing Home,” published by the Federal Health Care Financing Administration (HCFA), “A skilled nursing home will cost about $200 a day in many parts of the country.” This works out to $73,000 annually. On the positive side, many areas of the country are significantly cheaper, which brings the national average down to more like $50,000 annually. On the negative side, if you want a private room in the Northeastern U.S., your cost could be more than $100,000 annually, according to a recent survey by Kiplinger’s. If you’re still working, you’ll have two ways to pay for these costs: income and savings. You hope that income from private long-term disability insurance and/or Social Security disability payments will be enough to cover the cost. If not, you’ll begin to spend down your savings. When they’re gone, you’ll have to turn to Medicaid, which is public healthcare assistance for the needy. If you’re retired, the same basic scenario applies. You hope that monthly retirement income from Social Security, pensions, annuities, etc., will cover the cost of long-term care. If not, you’ll begin to spend down your savings. When they’re gone, you’ll turn to Medicare. Here’s where it gets complicated. Let’s look at two extremes. If you have amassed sufficient wealth, you will be able to pay long-term care costs from the nest egg and earnings on the nest egg. This is, of course, the ideal plan and the one that all Fools are working toward. On the other end of the spectrum, if you have little or no nest egg and are just getting by month to month, there isn’t much point in paying for long-term care insurance. This form of insurance is relatively new and untested, and premiums are very expensive. They will dig deeply into your ability to build that nest egg. But what if you need long-term care? Medicaid will be available, and while you hear a lot of horror stories about “being on Medicaid,” the truth is that many decent facilities accept Medicaid patients. Of course no one wants to limit future options, but, in many cases, the insurance cost to avoid Medicaid is prohibitive. So, what’s left between no nest egg and a giant nest egg? In general, people 55 and older with significant retirement assets, who want to be sure that a future disability or illness doesn’t wipe out their spouse or leave nothing for their heirs. For these people, long-term care insurance can be a good way to protect a chunk of their assets from spend-down to Medicaid. If you fit this bill, read on. Otherwise, get back to building that nest egg!